A.K Motiwala Group laid foundation in pre-partition times by entering into the Gold Business by opening their first Jewellery outlet. Since then they have earned a name for quality. The group diversified its operations by entering into the world of real estate development and construction by the name Motiwala Builders. 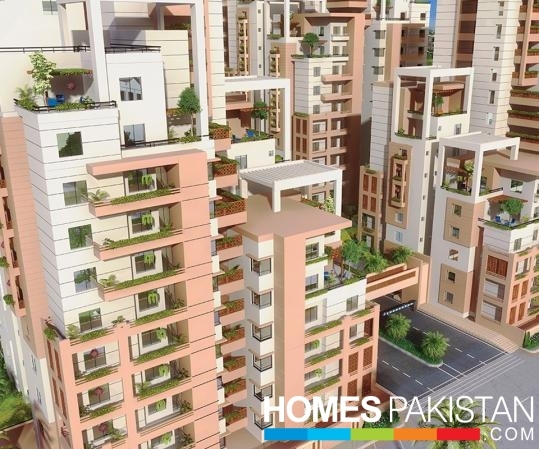 The aim was to raise the bar of the quality of housing and bring it to a higher level offering commercial, residential, and industrial projects. Metropolis is set to be the lifestyle of choice for the city’s most successful individuals - people who can appreciate a finer way of life..Enjoy the splendid view of the green landscape and exquisite neigborhood that Metropolis blesses you.Each of the apartments and duplexes at Metropolis is a true work of art. 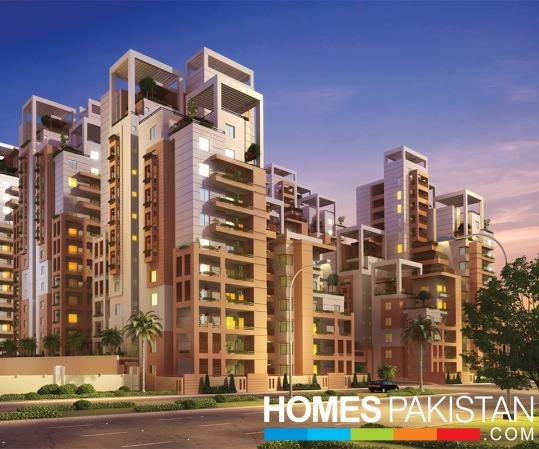 Whether apartments or duplexes, they all display a warm and welcoming architectural theme.With inimitable flair and breathtaking design, Metropolis sets itself apart from every residential development in the City of Karachi. 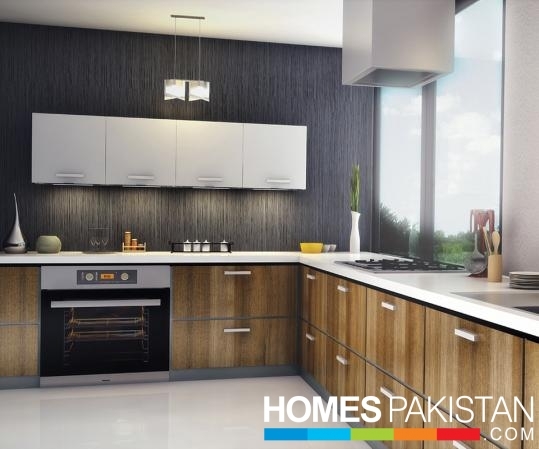 METROPOLIS RESIDENCY is the new apartment project in Karachi by Polani Builders, Motiwala Builders and Roomi Builders. METROPOLIS is highlighted by its modern style, open living spaces, contemporary details and state-of-the-art features, nestled amidst mind-boggling residential towers. METROPOLIS RESIDENCY is offering the 3 Bedroom Apartments and 4 Bedroom Duplexes on cash payment and also on easy installments. 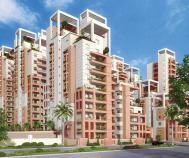 Apartments in METROPOLIS RESIDENCY are spacious with elegant interiors. Apartments in METROPOLIS RESIDENCY are suitable for the people who know the perks of living in modern apartments located in city centers. 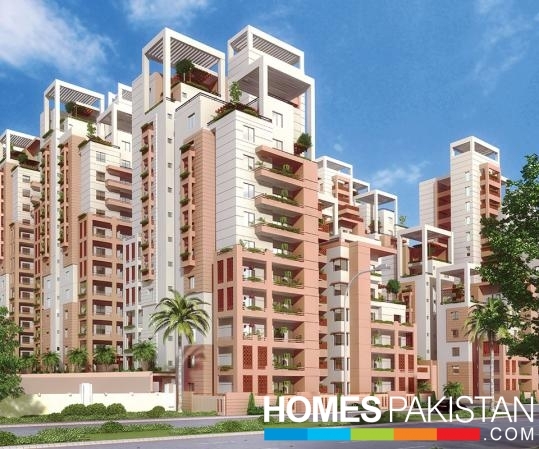 METROPOLIS RESIDENCY is ideal for living and also for real estate property investment in Karachi. Every apartment at Metropolis has been created with an exceptional eye for detail, inside and out. High-ceilings and a muted color palette fill the living areas with a sense of spaciousness.Each of the apartments and duplexes at Metropolis is a true work of art. Whether apartments or duplexes, they all display a warm and welcoming architectural theme, characterized by pitched roofs with decorative elements on the façades and cool shaded spaces. Relax and rejuvenate in magnificent garden of Metropolis. 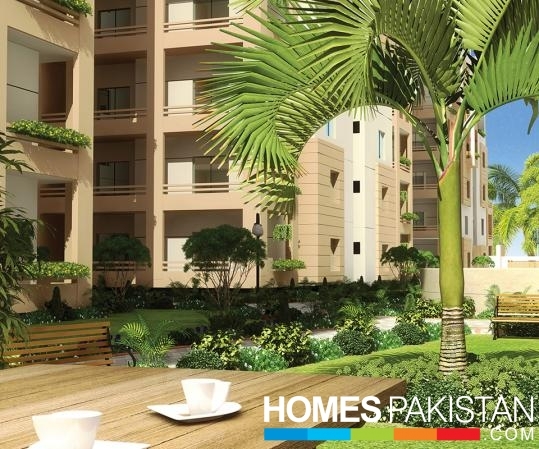 Wide and Spacious terrace blesses you with the all-wanted pacifying feel. 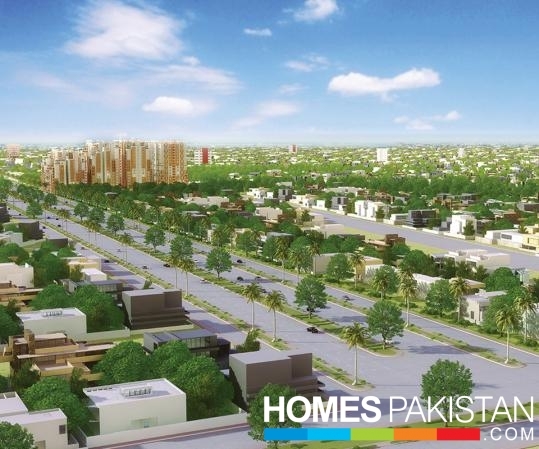 Just minutes away from Jinnah International Airport, next to Jinnah Avenue, Metropolis is your dream living that holds everything for your perfect luxurious and lavish life. Metropolis offers your children a lush green, open play area where they can get the best physical growth. 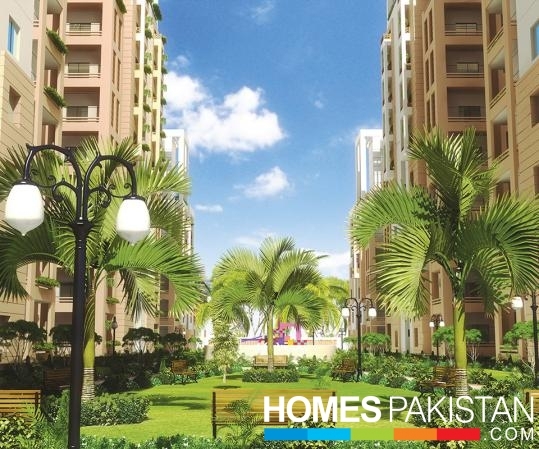 From your terrace, you will be able to look out over the natural surroundings just outside your door, while walkways and tracks invite you to enjoy an outdoor lifestyle. The in-house prayer area at Metropolis is set to induce the religious feel in all of the residents. The prayer area is spacious enough to house all the residents at one time, and is beautifully decorated with religious elements too. Metropolis has two huge floors reserved for car parking where there is enough space to cater the vehicles of all the residents. The parking area at Metropolis is closely monitored by CCTV Cameras and security guards. The living area in your luxurious apartment at Metropolis is the perfect place to sit back on a comfy couch, spending the little happy moments with your family, watching your favorite TV show or just reading your favorite book. A magnificent reception lobby waits to welcome you and your guests to the wonderful lifestyle that Metropolis offers. To ensure your comfort and ease, each tower at Metropolis is equipped with 2 high speed branded lifts. The artistically decorated and magnificently created community center is simply the best spot for you to host your friends and family members. gives you the perfect royal feel. 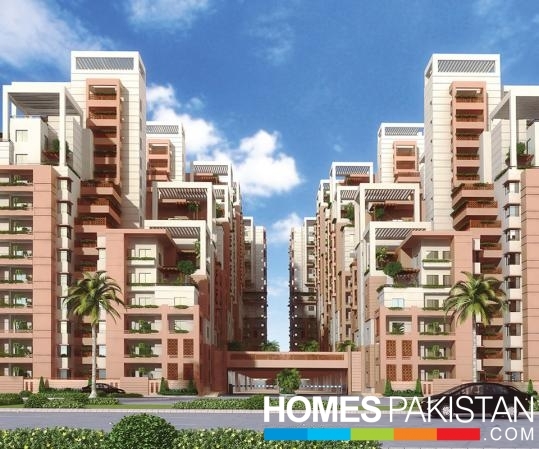 METROPOLIS RESIDENCY is located Off Jinnah Avenue, just opposite of Malir Cantt Karachi. 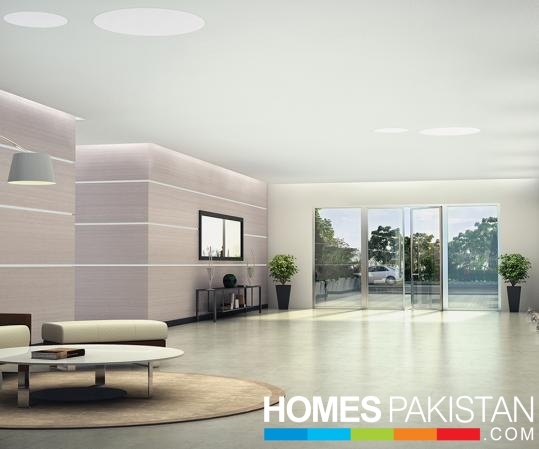 Location of METROPOLIS RESIDENCY is ideal due to good proximity to Malir Cantt, Jinnah International Airport, Northern Bypass and University of Karachi.